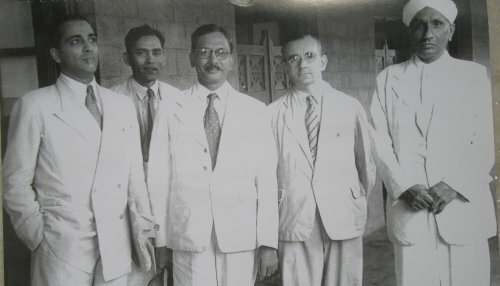 Sir Chandrasekhara Venkat Raman, a world-renowned Indian physicist, brought honour to the Indian nation through his contribution to the field of Physics. C.V. Raman made remarkable discoveries and his theory is called the Raman Effect, and it deals with a concept known as Raman Scattering. Sir C.V. Raman was born on November 7, 1888 at Thiruvanaikoil near Tiruchirappalli. He was the second child in his family among eight others. He did his schooling from St. Aloysius Anglo-Indian High School at Vizag, Andhra Pradesh and later completed his graduation in B.A in Physics from Presidency College (Chennai) in 1904 and M.A in 1907. His earliest research as a student was based on Acoustics and Optics. This interest from a young age made him develop advanced concepts in the same field. After completing his post graduation, he initially joined the Indian Finance Department. Though this was not his area of interest, he gave his best effort in his work and found the time to conduct experiments in his field. He was later endowed the Palit Chair of Physics at Calcutta University. Fifteen years later, he became a Professor at the Indian Institute of Science at Bangalore. Sir C.V. Raman was the founder of the Indian Journals of Physics in 1926. In 1928, with this various experiments on the scattering of light, he discovered the Raman Effect which proposed that “when light traverses a transparent material, some of the light that is deflected changes in wavelength”. This discovery helped in proving the Quantum Theory of Light and also helped in initiating the Raman Spectroscopy. For his astounding experiments, he was knighted in 1929 after being elected as a fellow of the Royal Society. Sir C.V. Raman was awarded the Nobel Prize for Physics in 1930. Post 1948, he became the director of The Raman Institute of Research at Bangalore. With his experiments, he was able to determine the diffraction of light by acoustic waves of ultrasonic and hypersonic frequencies and also about the effects of X-rays on infrared vibrations of crystals exposed to ordinary light. He shed new light on the theory of Crystal Dynamics which helped in solving the fundamental problems of crystals. In 1941, he was awarded the Franklin Medal. A Bharat Ratna was awarded to him in 1954 for his exemplary achievements and he was also bestowed the Lenin Peace Prize in 1957. Apart from dealing with acoustics and optics, he had several other interests like the structure of colloids, physiology of the human eye and its vision, electric and magnetic anisotropy. Sir C. V. Raman, after his retirement in 1948 from the Indian Institute of Science, remained active as the director of The Raman Institute of Research until his demise on November 21, 1970. He is still remembered for his contribution to the field of science and for his intellect. National Science Day is celebrated in India on 28 February each year to mark the discovery of the Raman effect by Indian physicist Sir Chandrasekhara Venkata Raman on 28 February 1928. We remember with immense pride the rich and everlasting contribution of Sir CV Raman to science. He is a great inspiration for young minds.